"Do you think that you deserve forgiveness? If you do you are not a Christian. " "The ultimate test of our spirituality is the measure of our amazement at the grace of God." "It is grace at the beginning, and grace at the end. So that when you and I come to lie upon our death beds, the one thing that should comfort and help and strengthen us there is the thing that helped us in the beginning. Not what we have been, not what we have done, but the Grace of God in Jesus Christ our Lord. The Christian life starts with grace, it must continue with grace, it ends with grace. Grace wondrous grace. By the grace of God I am what I am. Yet not I, but the Grace of God which was with me." David Martyn Lloyd-Jones (20 December 1899 – 1 March 1981) was a preacher in the tradition of Spurgeon, Whitefield, the Puritans and the Reformers. He was raised in a Welsh Calvinistic Methodist home and later became a Welch Protestant minister, preacher and medical doctor who was influential in the Reformed wing of the British evangelical movement in the 20th century. in his ministry sought to give a verse-by-verse understanding of the Word of God to his people.The influence of the Puritans also had a deep influence on this doctor turned preacher. FIrst the Puritans emphasized the spiritual nature of worship over outward forms and rituals. Second, they emphasized the gathered body of Christ over the individual thus making church discipline necessary and healthy for the cause of Christ. Finally, the Puritans believed in direct application of the Word to each person's soul. The Spirit of Puritanism, Lloyd-Jones believed could be traced from William Tyndale to John Owen to Charles Spurgeon. It was this spirit of the centrality of God's Word that drove the new preacher in Wales. In 1959 Lloyd-Jones noted that there was a revival of interest in the doctrines of Grace and the teachings of the Puritans in the church. Those mainly making this return were not his own generation however. The real interest was among younger ministers and believers. This new generation of pulpit leaders saw the unchangeable truths of God's Word in a way their previous generation had not.It could be argued that Lloyd-Jones played a critical role in ontorducing a new generation of believers to the writings of the Bunyan, Baxter and Owen among others. One of Martyn Lloyd-Jones' great passions was a return to the combination in the Welsh Calvinistic Methodists of the doctrine of the Calvinists and the enthusiasm of the Methodists. To this end he began a series in 1959 on revival which would comprise 26 sermons. He had become anxious lest the newly recovered emphasis on sound reformed doctrine should turn into a doctrinaire hardness. To counteract this danger he began in his teaching to emphasize the importance of experience. He spoke much of the necessity for experimental knowledge of the Holy Spirit, of full assurance by the Spirit, and of the truth that God deals immediately and directly with his children - often illustrating these things from church history. Contrary to much of the teaching that would arise during Charismatic Renewal of the 60's Lloyd-Jones stressed a number of features of true revival. First he proclaimed that God is sovereign and therefore there are no formulas for revival. God moves in different ways at different times. Secondly, He insisted that the church needs revival, not so more people will come into the church but rather than God is returned to His rightful place in people's lives and thinking. For almost 30 years, he was the minister of Westminster Chapel in London. Lloyd-Jones was strongly opposed to Liberal Christianity, which had become a part of many Christian denominations; he regarded it as aberrant. He disagreed with the broad church approach and encouraged evangelical Christians (particularly Anglicans) to leave their existing denominations. He believed that true Christian fellowship was possible only amongst those who shared common convictions regarding the nature of the faith. Lloyd-Jones was Covenantally Reformed, 5-point Calvinist. Martyn had not really heard sound preaching of the gospel in his early life. He said, "What I needed was preaching that would convict me of sin and … bring me to repentance and tell me something about regeneration. But I never heard that. The preaching we had was always based on the assumption that we were all Christians …"
Lloyd-Jones was born in Cardiff and raised in Llangeitho, Cardiganshire. His father was a grocer, and he had two brothers: Harold died during the 1918 flu pandemic, while Vincent went on to become a High Court judge.Llangeitho is associated with the Welsh Methodist revival, as it was the location of Daniel Rowland's ministry. Attending a London grammar school between 1914 and 1917 and then St Bartholomew's Hospital as a medical student, in 1921 he started work as assistant to the Royal Physician, Sir Thomas Horder. Lloyd-Jones obtained an MD from London University, and became a Member of the Royal College of Physicians. After struggling for two years over what he sensed was a calling to preach, in 1927 Lloyd-Jones returned to Wales, having married Bethan Phillips (with whom he later had two children, Elizabeth and Ann), accepting an invitation to minister at a church in Aberavon (Port Talbot). After a decade ministering in Aberavon, in 1939 he went back to London, where he had been appointed as associate pastor of Westminster Chapel, working alongside G. Campbell Morgan. The day before he was officially to be accepted into his new position, World War II broke out in Europe. During the same year, he became the president of the Inter-Varsity Fellowship of Students, known today as the Universities and Colleges Christian Fellowship (UK). During the war he and his family moved to Haslemere, Surrey. In 1943 Morgan retired, leaving Lloyd-Jones as the sole Pastor of Westminster Chapel. 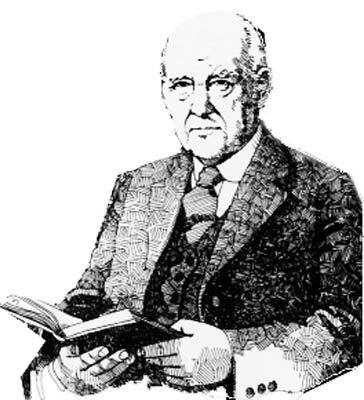 Lloyd-Jones was well known for his style of expository preaching, and the Sunday morning and evening meetings at which he officiated drew crowds of several thousand, as did the Friday evening Bible studies, which were, in effect, sermons in the same style. He would take many months, even years, to expound a chapter of the Bible verse by verse. His sermons would often be around fifty minutes to an hour in length, attracting many students from universities and colleges in London. His sermons were also transcribed and printed (virtually verbatim) in the weekly Westminster Record. Lloyd-Jones provoked a major dispute in 1966 when, at the National Assembly of Evangelicals organised by the Evangelical Alliance, he called on all clergy of evangelical conviction to leave denominations that contained both liberal and evangelical congregations. This was interpreted as referring primarily to evangelicals within the Church of England, although there is disagreement over whether this was his intention. As a significant figure to many in the free churches, Lloyd-Jones had hoped to encourage those Christians who held evangelical beliefs to withdraw from any churches where alternative views were present. However, Lloyd-Jones was criticised by the leading Anglican evangelical John Stott. Although Stott was not scheduled to speak, he used his position as chairman of the meeting to rebuke Lloyd-Jones publicly, stating that his opinion was against history and the example of the Bible (though John Stott greatly admired Lloyd-Jones's work and would often quote him in Stott's own books). This open clash between the two elder statesmen of British evangelicalism was widely reported in the Christian press and caused considerable controversy. The following year saw the first National Evangelical Anglican Congress, which was held at Keele University. At this conference, largely due to Stott's influence, evangelical Anglicans committed themselves to full participation in the Church of England, rejecting the separationist approach proposed by Lloyd-Jones. These two conferences effectively fixed the direction of a large part of the British evangelical community. Although there is an ongoing debate as to the exact nature of Lloyd-Jones's views, they undoubtedly caused the two groupings to adopt diametrically opposed positions. These positions, and the resulting split, continue largely unchanged to this day. Lloyd-Jones retired from his ministry at Westminster Chapel in 1968, following a major operation. He spoke of a belief that God had stopped him from continuing to preach through the New Testament book of the Letter to the Romans in his Friday evening Bible study exposition because he did not personally know enough about "joy in the Holy Spirit", which was to be his next sermon (based on Romans 14:17). For the rest of his life, he concentrated on editing his sermons to be published, counselling other ministers, answering letters and attending conferences. Perhaps his most famous publication is a 14 volume series of commentaries on the Epistle to the Romans, the first volume of which was published in 1970. Despite spending most of his life living and ministering in England, Lloyd-Jones was proud of his roots in Wales. He best expressed his concern for his home country through his support of the Evangelical Movement of Wales: he was a regular speaker at their conferences, preaching in both English and Welsh. Since his death, the movement has published various books, in English and Welsh, bringing together selections of his sermons and articles. Lloyd-Jones preached for the last time on 8 June 1980 at Barcombe Baptist Chapel. After a lifetime of work, he died peacefully in his sleep at Ealing on 1 March 1981, St David's Day. He was buried at Newcastle Emlyn, near Cardigan, west Wales. A well-attended thanksgiving service was held at Westminster Chapel on 6 April. Since his death, there have been various publications regarding Lloyd-Jones and his work, most popularly a biography in two volumes by Iain Murray. Do You Disapprove of Theological Controversy in the Christian Church? (1956) , Truth Unchanged, Unchanging, Crossway (originally Revell) . (1971), Preaching & Preachers, Hodder & Stoughton; Zondervan . (1971b), Romans, An Exposition of Chapter 5 — Assurance, Banner of Truth . (1972), Romans, An Exposition of Chapter 6 — The New Man, Banner of Truth . (1981) , God's Way of Reconciliation: An Exposition of Ephesians 2, (Baker) . (1973), Life in the Spirit in Marriage, Home and Work: An Exposition of Ephesians 5:18–6:9, Baker . (1973), Romans: An Exposition of Chapter 1 — The Gospel of God, Banner of Truth . (1974), Romans: An Exposition of Chapter 7:1–8:4 — The Law: Its Functions and Limits, Banner of Truth . (1974), Romans: An Exposition of Chapter 8:5–17 — The Sons of God, Banner of Truth . (1975), Romans: An Exposition of Chapter 8:17–39 — The Final Perseverance of the Saints, Banner of Truth . (1976), The Christian Warfare: An Exposition of Ephesians 6:10–13, Grand Rapids: Baker . (1977), The Christian Soldier: An Exposition of Ephesians 6:10–20, Baker . (1978), God's Ultimate Purpose: An Exposition of Ephesians 1, Baker . (1979), The Unsearchable Riches of Christ: An Exposition of Ephesians 3, Baker . (1980), Christian Unity: An Exposition of Ephesians 4:1–16, Baker . (1982), Darkness and Light: An Exposition of Ephesians 4:17–5:17, Baker . (1983), Evangelistic Sermons at Aberavon, Banner of Truth . (1983), Expository Sermons on 2 Peter, Banner of Truth . (1984), Joy Unspeakable: Power and Renewal in the Holy Spirit, Kingsway . (1986), The Cross: God's Way of Salvation, Crossway . (1989), Knowing the Times: Addresses Delivered on Various Occasions, 1942–77, Banner of Truth . (1989), Romans: An Exposition of Chapter 2:1–3:20 — The Righteous Judgment of God, Banner of Truth . (1992), What Is an Evangelical?, Banner of Truth . (1994), Letters: 1919–1981, Banner of Truth . (1995), Out of the Depths: Restoring Fellowship with God, Crossway . (1996), Old Testament Evangelistic Sermons, Banner of Truth . (1997), Romans: An Exposition of Chapter 10 — Saving Faith, Banner of Truth . (1997), True Happiness: An Exposition of Psalm One, Bryntirion . (1999), God's Way Not Ours: Sermons on Isaiah 1:1–18, Banner of Truth . (1999), Let Everybody Praise the Lord: An Exposition of Psalm 107, Bryntirion . (1999), Romans, An Exposition of Chapter 11 — To God's Glory, Banner of Truth . (2000), Romans, An Exposition of Chapter 12 — Christian Conduct, Banner of Truth . (2000), The Assurance of Our Salvation: Exploring the Depth of Jesus Prayer for His Own (Studies in John 17), Crossway . (2000), Heirs of Salvation: Studies in Biblical Assurance, Bryntirion . (2001), True Happiness: Psalms 1 and 107, Crossway . (2003), Romans, An Exposition of Chapter 13 — Life in Two Kingdoms, Banner of Truth . (2003), Romans, An Exposition of Chapter 14:1–17 — Liberty And Conscience, Banner of Truth . (2005), The All-Sufficient God: Sermons on Isaiah 40, Banner of Truth . (2005), Seeking the Face of God: Nine Reflections on the Psalms, Crossway . (2007), Raising Children God's Way, Banner of Truth . (2008), The Christian in an Age of Terror: Sermons for a Time of War, Kregel . (2009), The Gospel in Genesis: From Fig Leaves to Faith, Crossway . (2009), Let Not Your Heart Be Troubled, Crossway . (2009), Living Water: Studies in John 4, Crossway . (2010), The Kingdom of God, Crossway . "Our … churches are crowded with people nearly all of whom take the Lord's Supper without a moment's hesitation, and yet .. do you imagine for a moment that all those people believe that Christ died for them? Well then, you ask, why are they church members, why do they pretend to believe? The answer is, they are afraid to be honest with themselves … I shall feel much more ashamed to all eternity for the occasions on which I said that I believed in Christ when in fact I did not …"